perfume, dried fruit and hint of toasted oak. 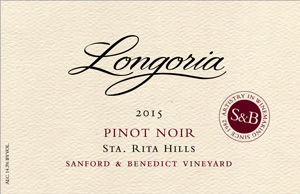 On the palate this Pinot Noir is full bodied, with a rich extracted structure and flavors of ripe plums accented with nutmeg, cinnamon and vanillin. The tannins are finely structured and the acidity is moderately elevated, both factors that indicate the wine will benefit from extended cellaring. I recommend decanting this wine for an hour before serving to allow it to open up.